The school is now a GCE testing centre and 2017-2018 is the first year of Form 6. We will develop a proper playground, and expand our extracurricular programs while continuing to offer the best quality education. 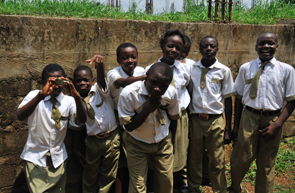 Our school will produce future African leaders capable of addressing African problems. $8 buys a memory stick for a student.